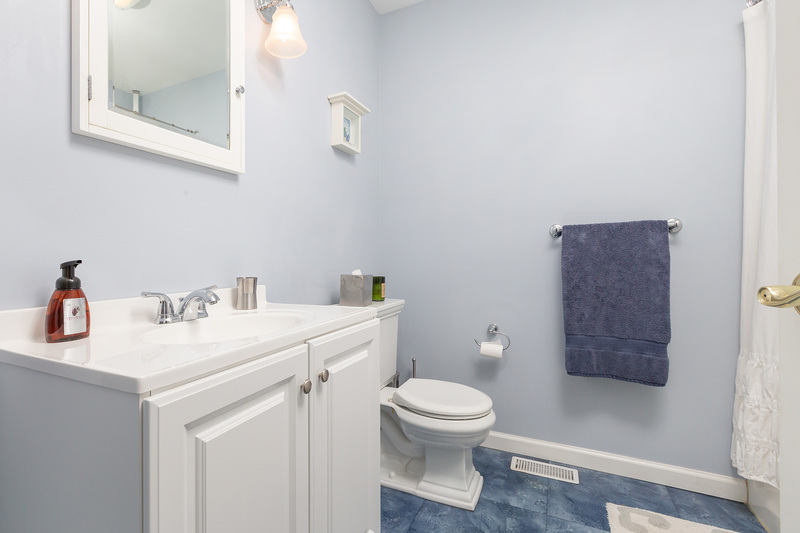 You MUST see this beautifully maintained rancher on a quiet street in Woolwich Township!! 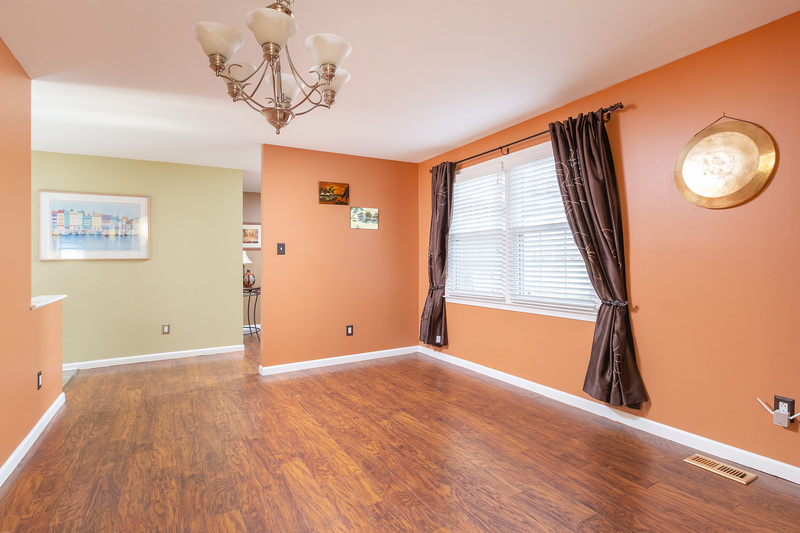 This 3 bedroom, 2 FULL bath home is absolutely PERFEC T! 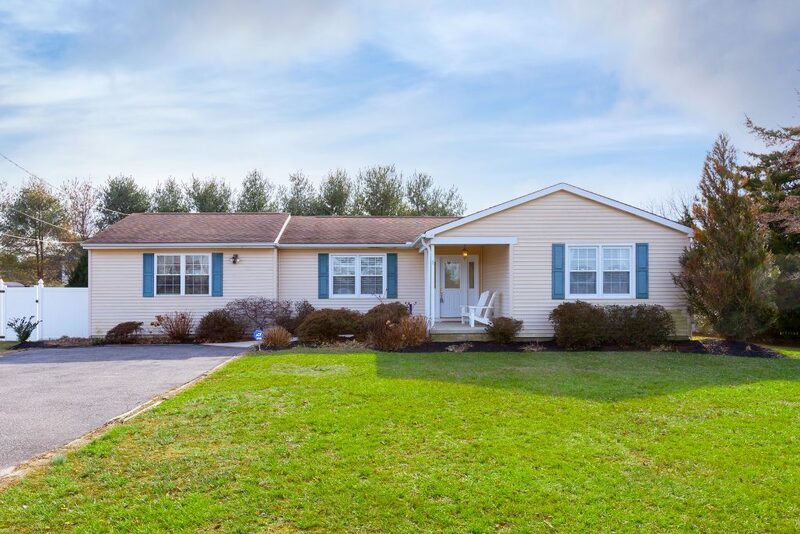 This home welcomes you in with a covered front porch that leads inside to the large foyer with convenient coat closet! 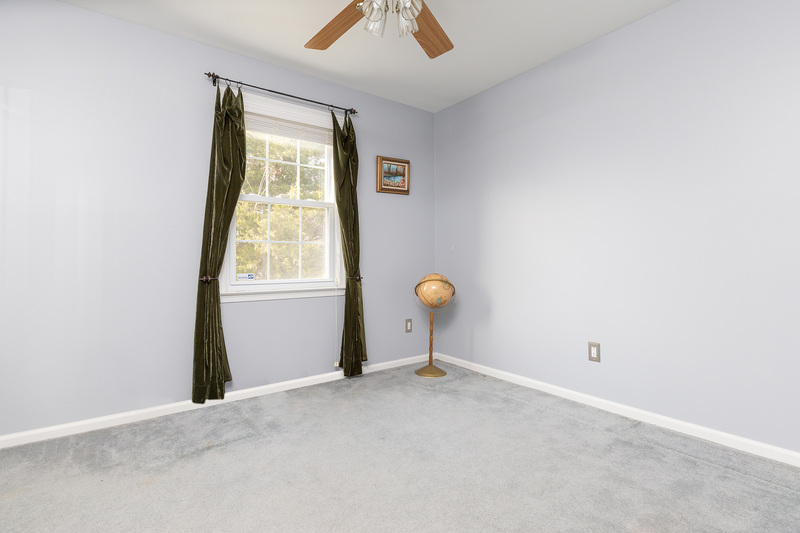 To your right, you’ll find a lovely master bedroom with hardwood floors, two closets and views of the sprawling field across the street! 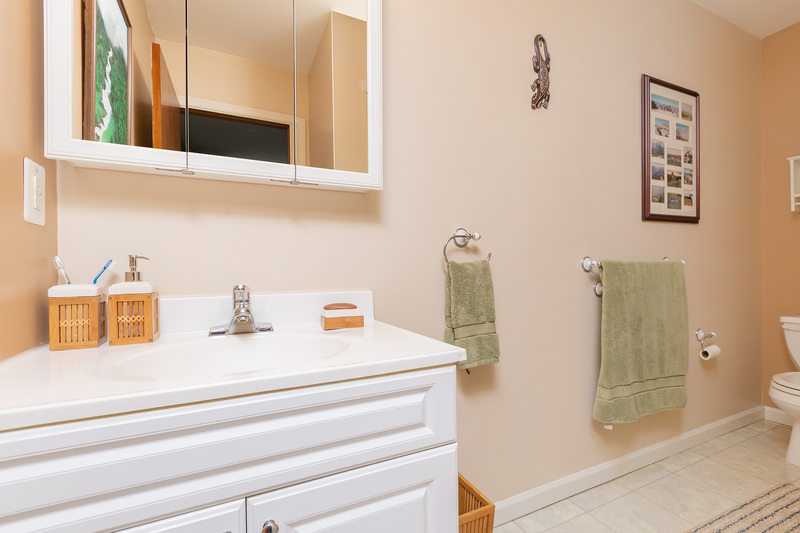 There are two additional large bedrooms and a full updated bathroom down the hall. 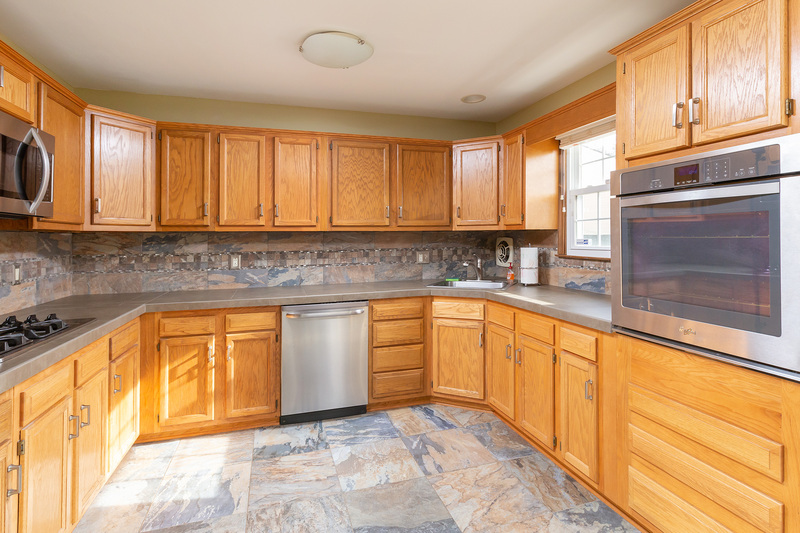 The gorgeous, updated eat-in kitchen has lots of cabinet space, tile flooring, stainless steel appliances and access to the laundry room with additional shelving and storage space. 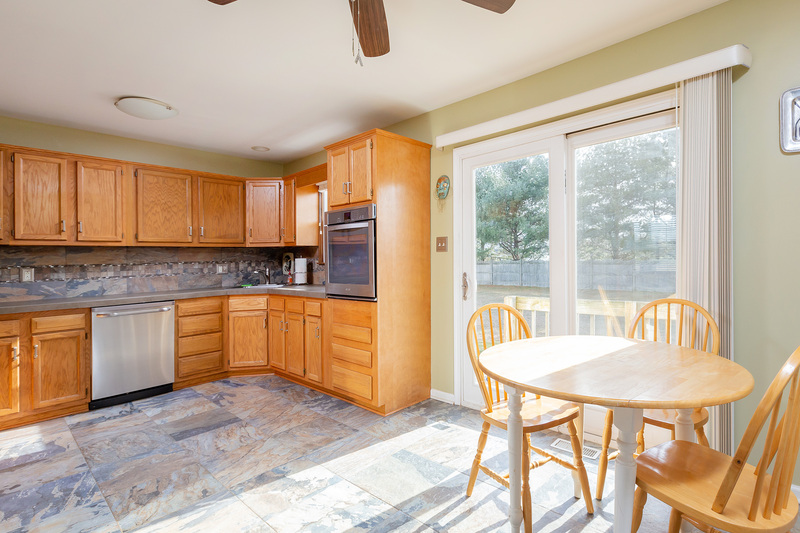 Sliding doors from the kitchen lead to the backyard and patio. 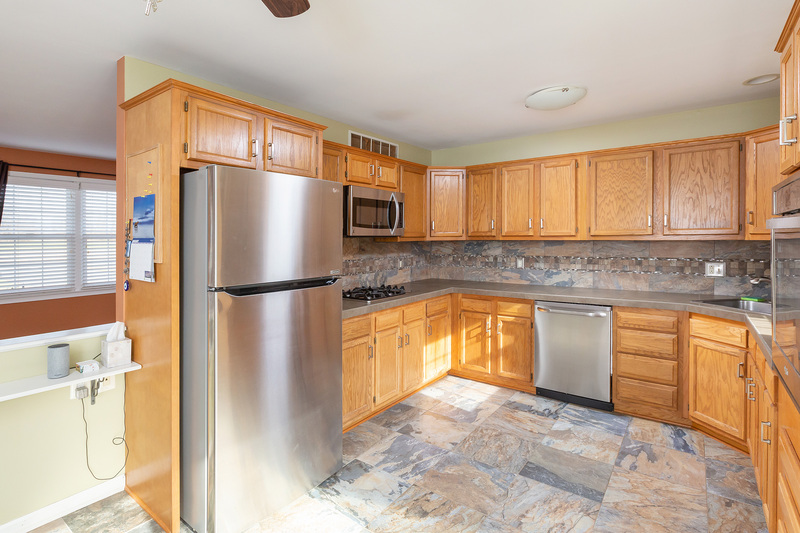 From the kitchen, you’ll find the spacious dining room with gorgeous hardwood floors, the huge living room that is perfect for unwinding after a long day and access to another FULL bathroom! 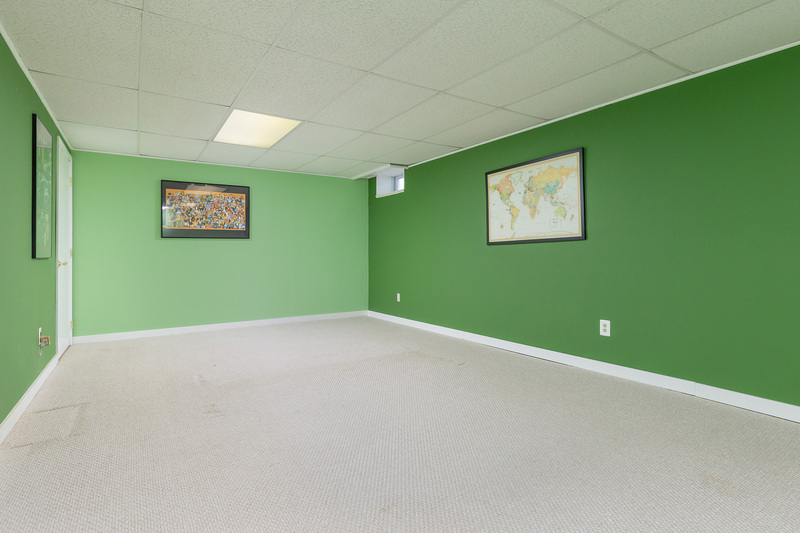 The partially finished basement can be used as a family room or game/media room-the choice is yours! 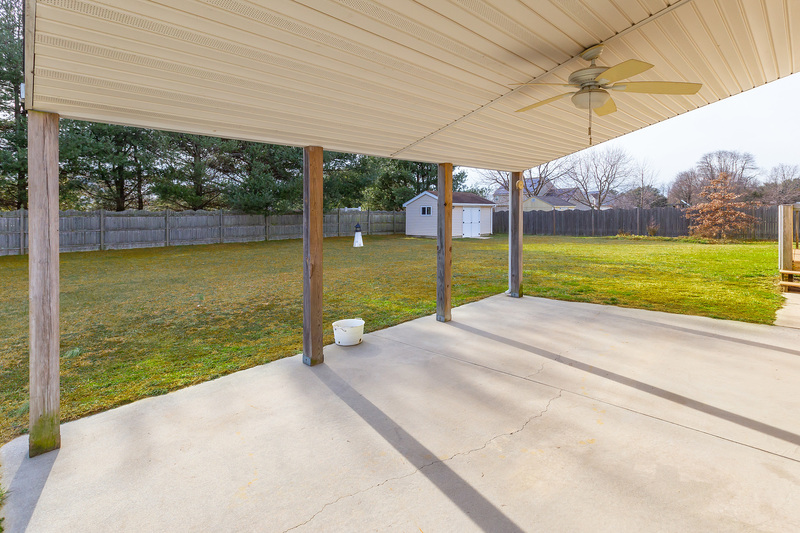 The massive backyard is fully fenced for privacy and the covered patio will provide endless days and nights of relaxation. 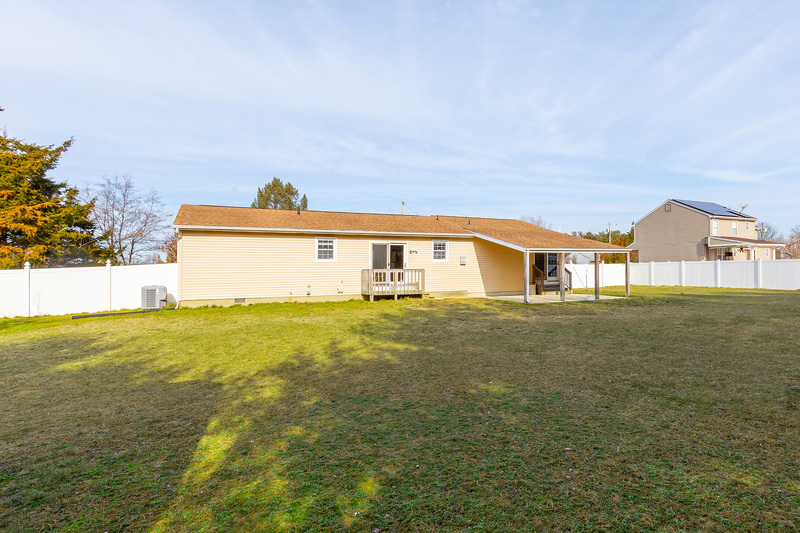 This home also offers a storage shed, large driveway, newer heater, newer central air and more! If you are looking for peace and tranquility, this home is IT!! Schedule your tour TODAY!! Swedesboro has a lot of charm. The town, established in the 17th century by Swedish settlers, it has an original log cabin tucked away behind the beautiful Trinity Church, lovely Victorian homes right on King Street, as well as many independently-owned restaurants, stores, and services (some of our favorites include the H & J Spa – an excellent place to go for a massage run by a husband and wife team – Sweetsboro Bakery – with some of the best cakes and pies you will ever find in South Jersey – and Latteria – another privately-owned business with easily some of the finest homemade ice cream out there). Life does not (always) revolve around dessert, though. There are some extremely good restaurants in town as well, from family-friendly to high end, with a surprising amount of ethnic diversity for such a small community. The community of Woolwich Township-Swedesboro does take pride in its heritage, with street fairs, park events, and a delightful display of local historical artifacts in the Historical Society headquarters on the second floor of the old police station. It is an easy walk through town, and we never felt anything but friendliness from the community. Our neighborhood is a great spot if you are looking for a safe, friendly environment. Everyone is very friendly, and always ready with a smile and a wave hello. Knowing they are there to watch your back is a great comfort; however, they are also always respectful of your privacy. One of our favorite things about living on Viereck Road is that it is definitely part of a community, while the farm across the street allows for unobstructed views of the sky and a lot of peace and quiet. We love to eat at a number of different restaurants in town. Vesuvio’s is right down Paulsboro-Swedesboro Road from Viereck, and they have excellent cheesesteaks and pizzas; however, there are a number of really good pizza joints in town to choose between. Great Wall has some of the best Chinese take-out we have ever had for the price. When we are looking for Asian that is a little higher end, there is no question – Green Tea offers a wider variety of Thai, Chinese, Japanese, and sushi. The Village Pub excels with their buffalo wings and other American food. They are a great place to go for evening activities, especially if you like sports! Rode’s, another American bar/restaurant, is famous for their crab cakes, and downtown (opposite Sweetsboro) is The Red Hen, a dynamic family restaurant run in conjunction with Tavro 13, a high-end restaurant. We were very excited when Restaurante Colosio opened a few years ago serving authentic Mexican food. We were clearly not their only happy customers, since they expanded into an adjoining storefront shortly after. Acme Grocery Store is a few miles away – they are the primary shop for Swedesboro, Woolwich, and Logan Townships. There are other supermarkets in nearby Paulsboro and Mullica Hill, but we have only had good experiences when we shop at our local Acme. That said, this is South Jersey, which means food stands. There are a number of really good ones all around the area, most notably Rosie’s Farm Market just a few minutes east along Route 322. And of course there are the Wawa’s and Heritage Markets in the area, for a quick stop. 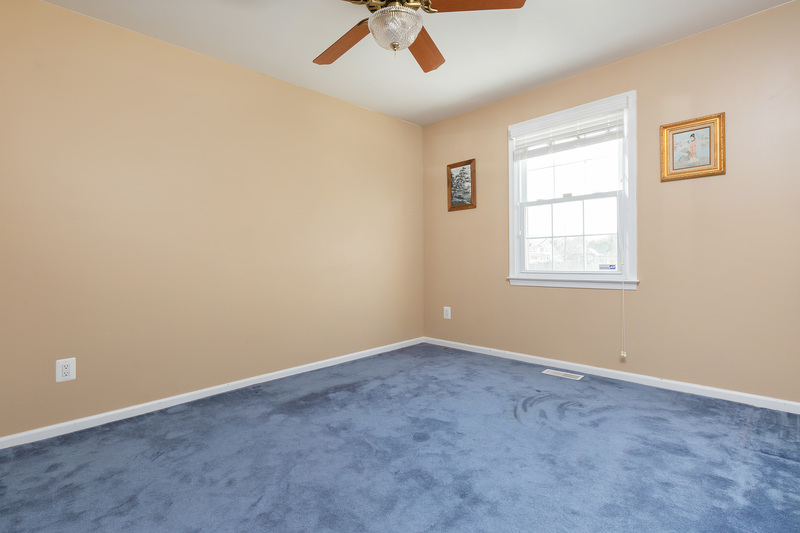 The property is absolutely perfect for anyone interested in raising a family. 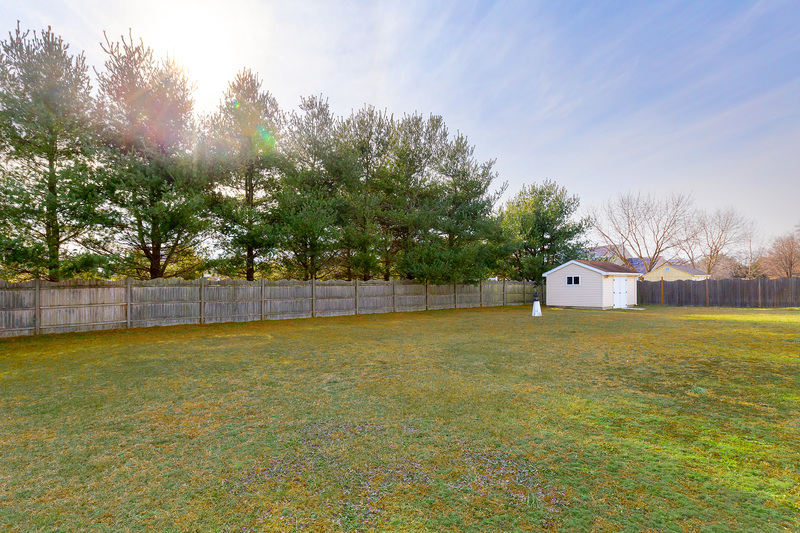 Whether your family includes children or dogs, 34 Viereck is an ideal location with its fenced-in backyard with enough space for little people or puppies to expend their energy safely. Viereck Road itself is quiet enough that supervised fun in the front yard is also quite safe. While that was definitely appealing to my wife and me, we also loved not only the quiet of the location, but also its closeness to so much around it. 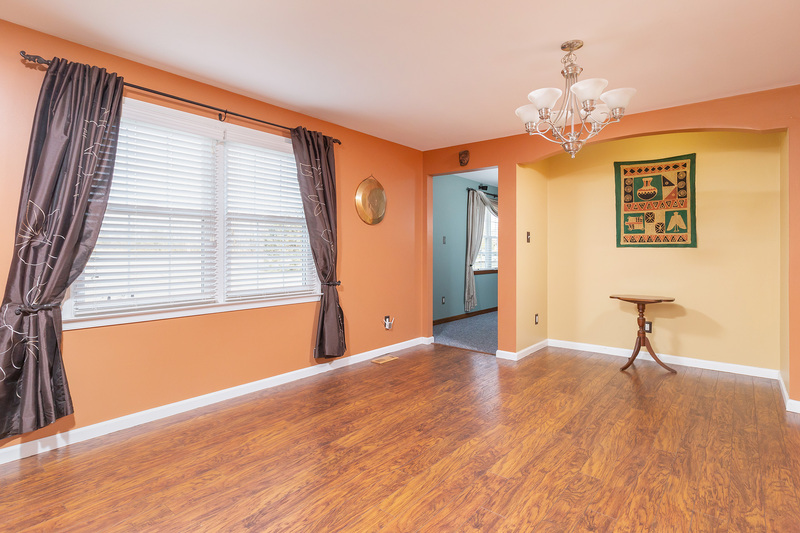 Not only is downtown Swedesboro just a few minutes away, but you can easily reach Wilmington, Delaware, Philadelphia, shopping malls, or practically anything you need after a brief drive. 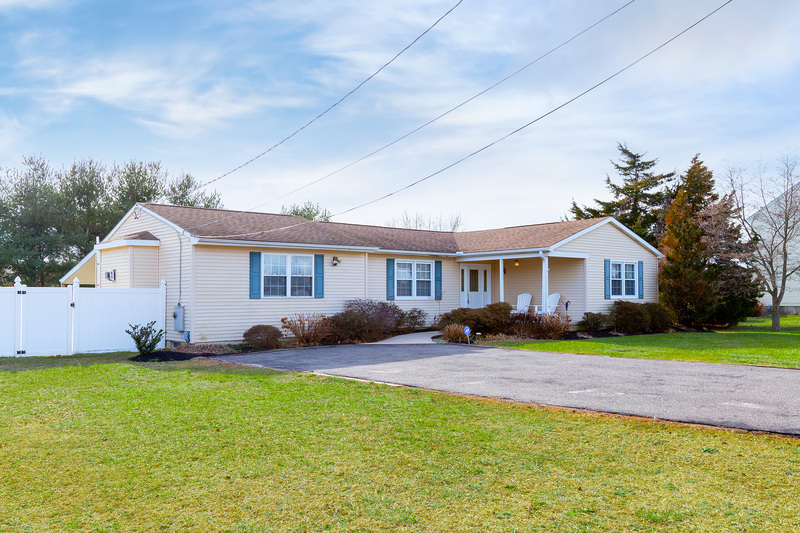 Although you might not realize it while enjoying a breeze under the porch roof in the backyard, the house is within just a few miles of both the New Jersey Turnpike and Interstate 295. And that does not even tap into the charm of the house. We spent thirteen wonderful years in the house. It’s much larger than you expect looking at it from the road, but definitely manageable. It’s proven easy to maintain because it’s well constructed. South Jersey is a great place to live. Being in the heart of farm country has proven quite a treat – it is quiet, but still close to the fun and excitement of the city. On a nice day, taking a drive down nearby streets has proven good therapy for a stressful day at work, and a chance to discover the richness of the culture. We have a love for American history, and there is so much of it in the area that we really enjoyed – from Revolutionary War-era skirmishes in nearby towns to museums dedicated to the regional glass industries, local heritage, and World War II on the home front,. 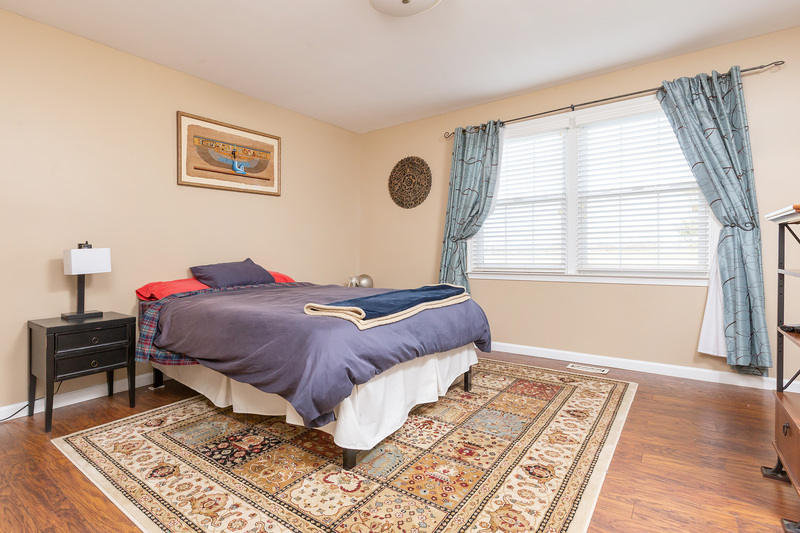 And did we mention the house is only about an hour from Atlantic City and many of the beaches? That means it is an easy daytrip, but it is easy enough to avoid the beach traffic during the busy season. There are also some lovely hikes and walking trails in the region. Granted, you won’t run into any actual mountains, but they are only a few hours away, just like New York City, Baltimore, and Washington, D.C. Many people associate New Jersey with diner culture – and we feel that is justified. There are many diners within a short drive of the house that we enjoy discovering. Of course, one of the more notable ones is the town’s very own Swedesboro Diner. Something else that has emerged since we made South Jersey our home is an extensive collection of wineries! There are three within the Swedesboro area alone (Wagonhouse, Cedarvale, and DiBella). We are fans of the William Heritage Winery in Mullica Hill, on 322 towards Glassboro – they have some exceptional festivals there, along with an excellent selection of vino. A great thing about the Swedesboro area is that you can do virtually anything you are in the mood for here. My wife and I enjoy taking walks in the neighborhood or in Locke Avenue Park, also just walking through town. The historical society has self-guided tour information I took advantage of one afternoon, and just enjoyed walking through downtown, learning local history, and appreciating the houses. But when we wanted to get out, we could go into town and socialize, or hit the mall at Deptford, go to the movies, or go into the city. Honestly, though, we often just enjoyed hanging out in the house and relaxing. 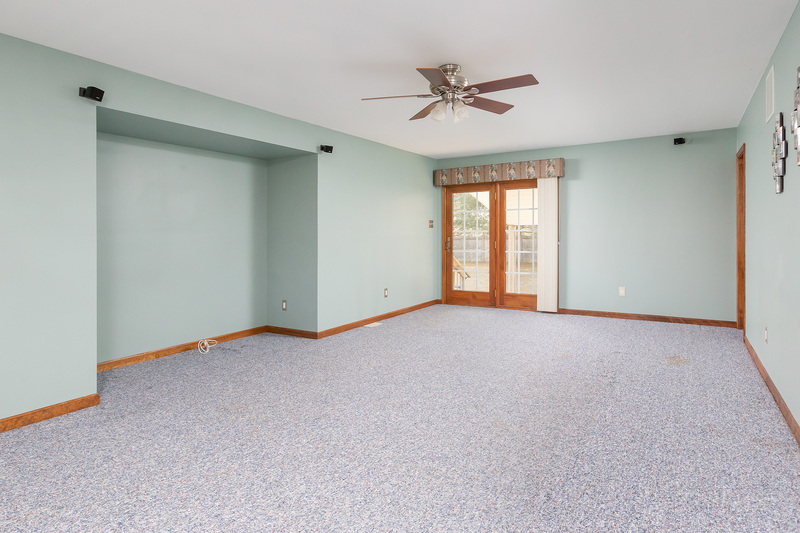 We enjoy the openness of the floor plan, and took advantage of it to play with our dogs. One of my favorite things to do at the house was to sit in the shade on the porch on a warm summer day when there was a breeze and read a good book. My wife, on the other hand, preferred to relax on the lawn to get the full heat of the sun. One of the nicest things about 34 Viereck is that it has its own well, which means no water bills. I picked up water softener at the (excellent) Tru-Valu hardware store in Swedesboro about once a month, but that was it. Also, it has its own septic system, which means no monthly bills there, either. Atlantic City Electric and South Jersey Gas bills were often as low as $30 per month, depending on the time of year. During the colder months, the gas bill might dip into the three digits.